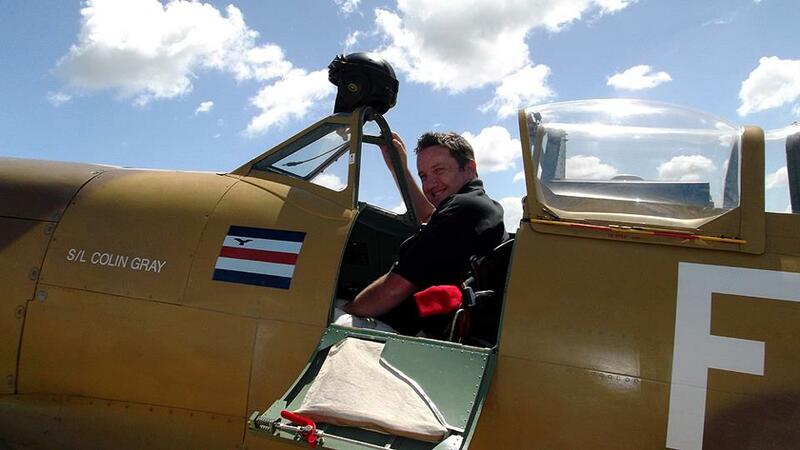 In relation to the NZ5517 mystery, there is a photo of the flight leader with his two wingmen. The photo was apparently taken on the 12th of November 1944 at Westport airfield (the day after NZ5517 disappeared) -but look who else is in the photo -and why was this person there?. I'm surprised no one has cottoned on to it by now. Hard to 'see' what you do without a copy of the book or the photo. Who was the additional person then? Was it the Pope ? Don't be silly beeza. This could be an interesting topic. Let's see what Courthouse has to say. Dave, I know people there on the day....... and in the photo. For a first up post it sure is a strange one. Well I am interested to find out what Courthouse is talking about. Beeza you obviously know the photo being discussed if you claim to know people in it, is there a possibility you might be able to post it here please so the rest of us can see it? It will be an interesting thread. We have at least two members that have researched this incident with one, Gavin, writing about it in a book or website. I was hoping to get a link to the photo but after a search cannot find one. I have phoned the Library but of the 4 copies in ChCh only one is left in circulation. It is in Akaroa. As of the evening of 11/11 the situation was one aircraft missing and one U/S with engine problems. Any number of individuals could have been despatched from Wigram or Woodbourne overnight. What we have on the various websites these days is a second, or even third hand account, and often from the flight simmers or modellers. It seems like I will not get Chris Rudge's book until tomorrow at the earliest. Perhaps Courthouse may release another snippet for us today. I can't help much more at this stage Dave. I don't recall the photo as such sorry. The Flt Cdr was Bob Reynolds and he stayed local until his death not so long ago. Bob was active in both the ATC and RNZAF until the mid 1980's. He was the Air Force Liaison Officer until I think Rod Sudlow took over. Obviously the loss of the Corsair was a big event and has very much become folklore. In my topdressing days we would often (always) have at least one eyeball scanning the hillsides and valleys when positioning over into the Grey Valley. I have to admit that my take on the incident would have been from my impressions gained as a youngster. Every time we went tramping, or even driving up the gorge, the Corsair featured in the discussion. I am looking forward to reading the chapter in the book. Apart from the three pilots mentioned I have no idea who else may have been snapped in the pic. The search went on for months and many locals would have been involved. The photo in question is of Peter Sheppard, Norman Reeve, A young lady identified as "Tim" and Bob Reynolds standing alongside a Corsair. Methinks someone is trying for a reporters job with a Rupert Murdoch tabloid? Thanks Shorty, I thought I would be pretty close to the mark. My understanding was that they diverted to overhead Westport while enroute on a navigation exercise. Bob was a Westport local and as he had friends and family there the formation did a few circuits over the town. I know questions were asked during the Formal Investigation. I was suspicious when I saw the topic question. 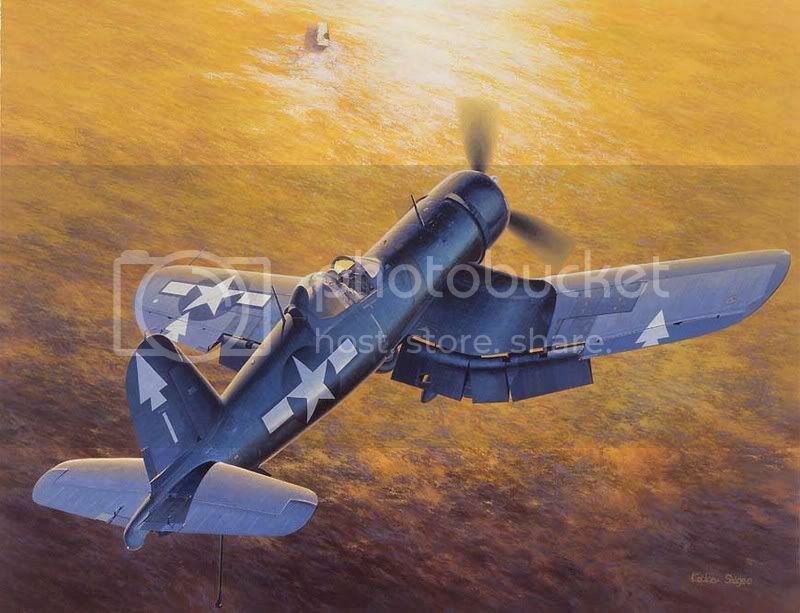 The reason behind the Corsair flight to Westport ? The answer was obviously not to see someone on the ground. They did not land. Whoever was in the photo had to be really important. Any ideas as to who 'Tim' could be ? Does she look to be Defence related ? If she is a civvy then we should be able to come up with a name...especially if she was a local. Not that it matters, the photo was taken the following day. As in.. at least one day after the incident. I will be in the Reefton area in a couple of weeks searching.. I should have posted the following the other day. There will be some reading here that are not familiar with the incident. I am not suggesting any of this is correct, - indeed I have issues with two statements in the very first sentence. I am still waiting for the library book and I am hoping Chris Rudge made a better job of writing about the events of the day. If the above is correct about the 9000' altitude and then the absence of any radio call. That would suggest to me that Barstow probably did lose control in the turn. at 8.45 am, for Christchurch. of Westport where they arrived at 10.40 am. running rough and they decided to return to Westport. This is more akin the version I knew. Both are talking about flying in cloud, in which case they would have had to set heading from the Westport NDB in order to clear the Paparoa Range with tops at 5000'. You can fly up the Gorge comfortably with a 1500 ft ceiling and then break into the Grey River valley well short of Reefton. These guys were not doing that so were obviously climbing in IMC well above the tops. The point being that if you fall out of a turn and don't get a radio call out then it really could be the screaming plummet scenario. A brick dropping from the sky is going to leave a hole, possibly only a small gap in any foliage. I am sure this would have been covered in the report made at the time.. hopefully confirmed in Chris' book. We were only ever looking for a piece of metal shining in the sunlight, nothing more. When flying over the area we would look at was the sunny sides of the hills, pretty impossible on the lower levels where the bush was so thick. The first portion of text I quoted goes on for 9 pages in a similar vein. It mentions the 1969 earthquake (actually May 1968) and even a short fantasy about Woodbourne being named after burning wooden aircraft. Oh yes, another portion of the text decries the RNZAF for not wanting to continue an official search. Basically it is a waste of time and effort. (reading the website that is). If the wreckage was above the snowline it would have been seen during the searches. If there was a large fire it should have been seen during the searches. The bush in this area is strong and dense. An aircraft wreckage would just be 'absorbed' by it.... Much like a drop of water on a sponge. 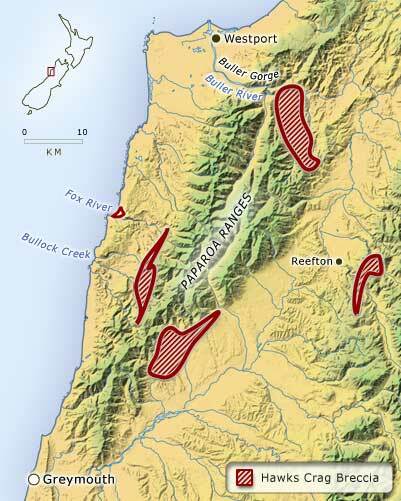 A large area about the Buller Gorge was surveyed for minerals in the early 1970's. I am not sure how they search for Uranium but I would have thought a large metal deposit would be detected if present. I wish those who continue searching the best of luck. I think the chance of discovering anything are very slim but against that the wreckage is there, - somewhere. Many locals think it went into the River. I doubt that very much myself. Logic tells me it should be within a few mile radius of where the turn was carried out. It would be very difficult for the others in the formation to state clearly exactly where that was. I would be interested to hear what clues some of the new generation search teams are working with. Perhaps they can narrow the probable area into a more realistic sized chunk. The understanding I have is of Barstow flying on the right of the formation and during the turn he fell out at which point he reported Oil on his canopy (Reynolds remembered this late into the Inquest..). Reynolds gave Barstow the bearing on Westport and continued back in the hope he would land safely. The cloud in the area was reported to have lowered in height following the Formations arrival at Westport with rain developing. This resulting in a delayed search for a few days until Weather improved. Just because there was nothing heard from Barstow doesnt mean it can be said he went down quick or with force. It was common practice back then that when performing Aerobatics to Cage the Artificial Horizon. Now maybe and only maybe he simply forgot or disregarded the need to free it on leaving Westport. That said whether this was an issue in the disappearance we will never know even if found. It could well have played a part possibly disorientating Barstow furthur given the Oil on the Canopy all the while being in cloud. Now with those factors put yourself in his shoes from here on. I know I would be putting my main priority on bringing the Aeroplane under control from possible high rate of G in an usual attitude before making a radio call as essential as that call mightve been. Chris Rudge's 'Missing' is an excellent read of factual information compiled together in the events leading up to the disappearance. I have just received the copy of 'Missing' but have not read the 8 pages on this incident thoroughly yet. Just my initial impressions that the author seems to have written a great account and also had references to interviews with some of the pilots involved. The subject photo is among several in the chapter and is accredited to Peter Sheppard. I would say it is most likely taken with his own camera or by someone that they knew personally. It may have been taken by one of Bob's friends or relatives. It is not at all like a 'formal' RNZAF photo.... or indeed one of the 'informal' ones that the RNZAF often took at the end of a photo-shoot. To me it looks like 'Tim' may have asked if she could pose with the pilots.. given the circumstances the group does look very smiley and casual. They obviously had no qualms about the pic being snapped or indeed must have considered there would be no chance of it being given to the media. I wouldn't be surprised if all those pilots had it in their albums by the end of the war. There would have been many members of the public out at the aerodrome on the 11th and 12th. With 3 aircraft on the ground and with clearly one missing it would have attracted everyone's attention. The whole town would have known about it within minutes of them landing. I dare say 90% of this forum may have taken time out to have a nosey.... possibly even taken wives and girl friends out with them. I am yet to hear back on who actually snapped the pic. The author sums up his chapter in the last paragraph... basically given the nature of the terrain and how infrequently it is visited he thinks the aircraft may be a long time lost. Many of the people thought it had spiralled in and disintegrated. I have just had word that the photo was probably taken by one of the Powick family, they were out there with 'Tim' on the day. I have read that some people think 'Shorty' (edit - "Tiny') Barstow and NZ5517 ended up in the drink out in the Tasman somewhere, due to over-flying Westport because of the bad weather in the area at the time. Very sad case no matter what happened to him. While the aircraft could be out in the Tasman it would probably be overlooking the lack of radio calls and the fact that his ADF would still be tuned to the Westport NDB. With any bad weather there is generally a hole that sits about 5 miles off the coast, actually directly out in front of the airport. Many of the websites I looked at recently were obviously 90% of 90% etc. Some of these guys get an idea in their heads and the next minute we are seeing it published on a website as though it is fact. I am still reading the chapter so may have to come back and amend some of my comments here. I did see he fell out of formation near Inangahua Landing, of all the places in the vicinity to get a visual reference then that would be by far the best. Bryan Cox mentions P/O 'Tiny' Barstow's disapperance in NZ 5517 on pages 95 - 96 in his book 'Too Young To Die'. Did Corsairs even have Radio Direction Finding equipment ? I have never seen, as far as I can recall, a DF loop on a Corsair. USN carriers had RDF and pilots would call up for a DF steer in order to find their ship.